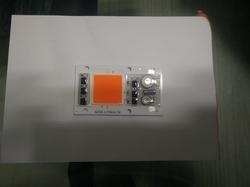 Pioneers in the industry, we offer 12 watt dob mcpcb, 50w mc pcb cob, dob 7 watt mcpcb, 3w led bulb light pcb with led driver ic's, 6w led modules with driver ic and 7w led bulb light pcb with driver ic from India. 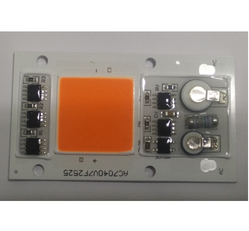 12 watt DOB Available Ex Stock, Metal Core PRinted Circuit Board. Direct AC- Driver on board.Widely used in applications like Bulb, Downlight, etc. 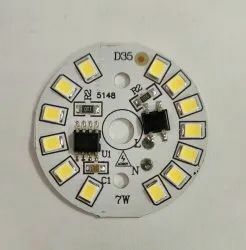 Due to years of practice and industry expertise, we have become a leading firm, occupied in providing a wide range of COB Lights. 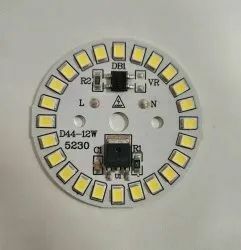 50W MC PCB Cob colour - Red , Green, Blue, Pink, inductor and Transformer Less, Constant Current Led Driver Ic, Surge Protection, Smd Metalic Oxide Varister. 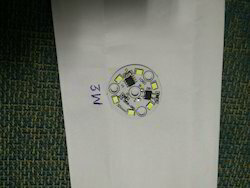 3W LED Bulb Light PCB With Led Driver Ic's. 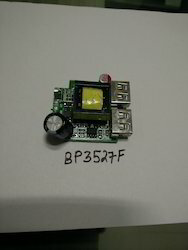 12W LED Bulb Light PCB with Led Driver Ic. 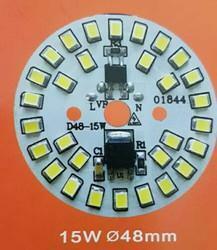 15W LED Bulb Light PCB with LED Driver Ic.